The Girl With The Dragon Tattoo, Attack The Block, Rise Of The Planet Of The Apes and Tinker Tailor Soldier Spy lead the way with four nominations apiece. Other notable inclusions are Olivia Colman for Best Actress, Ryan Gosling for Best Actor and Harry Potter And The Deathly Hallows: Part 2 for Best Film. 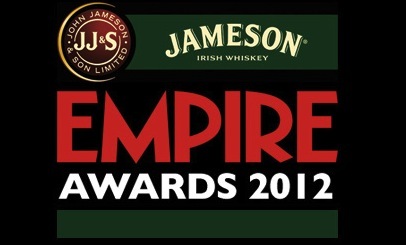 The 17th Jameson Empire Awards, hosted by Lauren Laverne and Chris Hewitt, will take place on March 25 at a TBC central London location. Now those are some awesome nominees! Surprised Olsen isn’t in for female newcomer due to Marth Marcy May Marlene. Colman better get best actress! It’ll be Colman or Mara. Empire loved both Tyrannosaur and The Girl With The Dragon Tattoo.